They must be blasting a lot of Sinatra at Uber, the San Francisco startup that lets you order a private car from an iPhone app and watch it as it gets closer on a map. So far the company has been testing its model in San Francisco, and recently expanded to Palo Alto, but that is all child’s play. If it can make it in New York City, it can make it anywhere. And that is exactly where it is headed next. 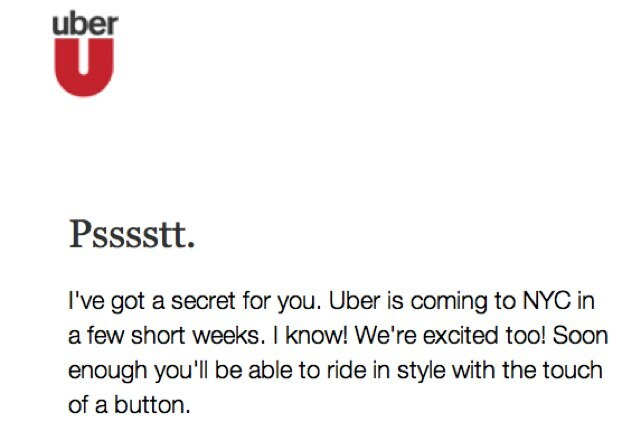 According to an email with the subject line “An Uber Secret,” which was sent to registered users who live in New York (like me), “Uber is coming to NYC in a few short weeks.” The email includes a link to a survey which asks what people dislike the most about New York City cabs and livery cars, what they would value most about an Uber experience, and where in the city is service most needed. It also tries to gauge how much more people would be willing to pay for Uber than for a taxi (the choices are from 1X to 3X a taxi fare). 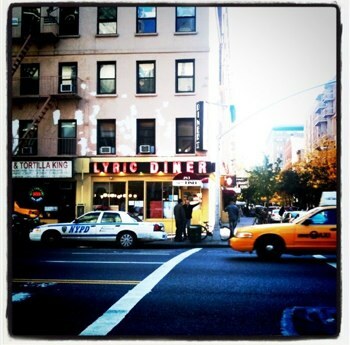 Cracking the New York City market won’t be a drive through the park. New York City is not like San Francisco. There are tens of thousands of cabs and car services. Unlike San Francisco, you can actually hail a cab on most street corners, and there are plenty of car services in the outer boroughs. Starting in San Francisco was smart because cab service is horrible there (Michael is totally hooked). I’ve tried it a few times there myself, and it is awesome. It is also expensive, at least twice as expensive as a cab. For certain situations, though, the reliability and realtime availability it provides is worth the extra cost—especially if you can expense it. Car services in Manhattan are not cheap either, so as long as Uber is competitive with them, residents will give it a try. Uber just raised $11 million, and no doubt will use that to enter the New York City market. It needs to provide blanket coverage across all five boroughs and beyond to the suburbs if it wants to compete. (Watch this Fly or Die where I ask Uber CEO Travis Kalanick about all the challenges his startup faces). And still, I can’t wait for my first Uber ride in Manhattan.